"A Lawyer Who Does What He Says He Will Do"
"Vince W. - a client since 1986"
Attorney – George R. Fusner Jr. Rely on an honest and forthright lawyer to help you. Dedicated to effectively serving our clients. Since 1977 George R. Fusner Jr. has successfully practiced personal injury, trucking, banking, business, collection, commercial, construction, contract, employment, insurance, landlord/tenant, lender liability and products liability law using a direct, action-oriented approach in identifying and solving problems. If you are facing a legal issue in Brentwood and Nashville, Tennessee, you may only have a limited amount of time to make a claim or to protect your rights. Contact the Law Office of George R. Fusner, Jr. today to learn more about how our firm can help you. Distracted driving, drinking and driving, texting and driving, and speeding result in accidents and deaths each year. Individuals have a responsibility to follow the rules of the law when they get behind the wheel. When they fail to do so, innocent drivers and passengers can be hurt. 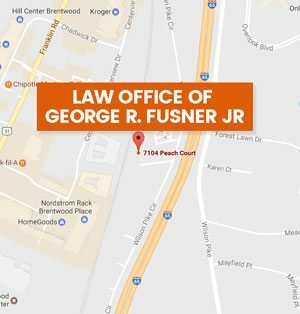 The Law Office of George R. Fusner, Jr. are Brentwood, Tennessee car accident, truck accident, and injury lawyers who represent the interests of the injured. Whether you need help with an insurance claim or need assistance in seeking damages from a negligent party or company we can help. You are not alone. 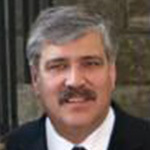 Trust George Fusner to work closely alongside you for the duration of the case and its associated courtroom proceedings. You can schedule a time for your free initial consultation with George today by calling (615) 251-0005 Or call toll free (800) 427-8960. The Law Office of George R. Fusner, Jr. offers caring and compassionate representation to accident victims in Brentwood, Tennessee. According to the Centers for Disease Control, the cost of car accident deaths in Tennessee exceeded $1.25 billion for a single year. These figures include lost work costs and medical costs. They don’t factor in the costs that serious personal injuries cost victims and families each year when these individuals survive car accidents. 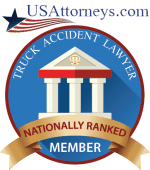 The Law Office of George R. Fusner, Jr. are accident attorneys in Brentwood, Tennessee who understand how devastating car and truck accidents can be. We are here to help. 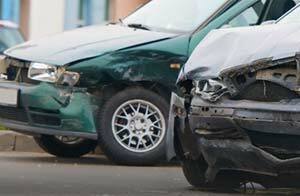 If you’ve been hurt in a car or truck wreck, it is important to act quickly. Insurance adjusters may take steps to protect their bottom lines. They may offer you lower estimates than you may deserve. 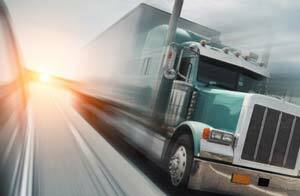 Truck companies may have teams of lawyers on their side. Furthermore, Tennessee’s statute of limitations places limits on how long you have to make a claim under the law. If you have questions about your accident claim, the Law Office of George R. Fusner, Jr. has answers. Have a few common questions you need answered immediately? 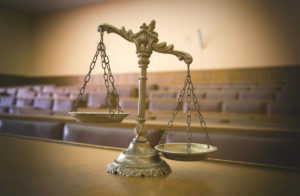 Be sure to visit our Frequently Asked Questions page for some answers pertaining to your case. Have an emergency? I am more than happy to visit you at the hospital or your home. Read our FAQ's to learn more. MYTH: If you write the insurance company a letter and are reasonable, you will get a reasonable settlement proposal. THE FACTS: The insurance company will "low ball" you. Guaranteed!!! If you're searching for a qualified lawyer with years of diverse experience, George R. Fusner Jr is the attorney to call. He obtained his license to practice law in 1977 after graduating Vanderbilt University School of Law, Nashville, TN. He is a sole practitioner with emphasis on personal injury, trucking accident, collections, construction, and business litigation. Attorney George R. Fusner Jr. Since 1977 George R. Fusner Jr. has successfully practiced personal injury, trucking, banking, business, collection, commercial, construction, contract, employment, insurance, landlord/tenant, lender liability and products liability law using a direct, action-oriented approach in identifying and solving problems. 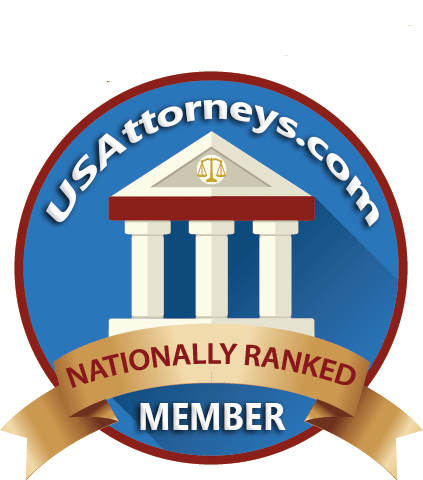 Experience George R. Fusner, … More... about Attorney George R. Fusner Jr. Weekends & Holidays by Appt. Copyright © 2019 Law Office of George R. Fusner Jr - All Rights Reserved.